Here is yet another landmine that Roberto Muehlenkamp and the anti-science True Believers walk onto. Muehlenkamp, in order to rationalize the lack of cyanide residue in the alleged gas chambers, have come up with laughable assertion that the alleged gas chambers were hosed down after each gassing. Check it out & have fun. My comments below. We find this hosing down of the gas chambers rather Benny Hill like. That is to say, comedic. It is particularily strange that this claim for Auschwitz does not extend to the Majdanek site. At Majdanek, the delousing facility, forced upon us as a murderous gas chamber, has cyanide residue and staining in abundance. We assume then that there was either a shortage of hoses and water at Majdanek, or more logically, neither of these sites had murderous gas chambers. What happened to the water which contains now the poisonous prussic acid? Was it discharged into the environment, poisoning the groundwater? 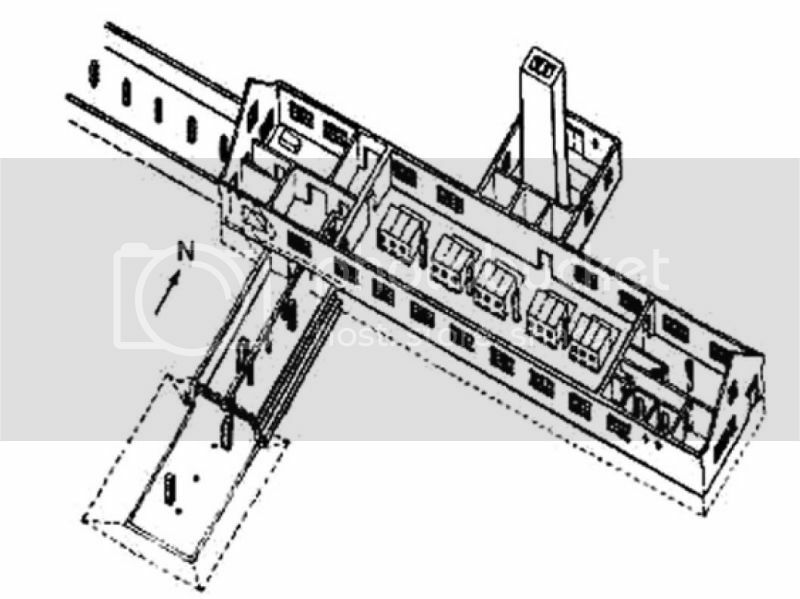 The gas chambers in the US were neutralized inside with an ammonium solution after an execution. The prussic acid formed a harmless compound with the ammonium which then could be safely washed away. In the very real delousing chambers, allowing the cyanide to adhere to the walls and ceilings would eliminate the need for any such neutralization process. The hosing story is so filled with problems that you have to wonder how such a stupid tale got into circulation. Desperation is the only answer. There are also discussions here which debunk the claim that the Zyklon-B granules were supposedly withdrawn up & out of the absurd gas chambers via a wire mesh device after a few minutes. Of course, the judeo-supremacists cannot explain what happened to the cyanide that would continue outgassing from the granules for hours. It's gets even worse, they forgot about their fraudulent 'eyewitnesses' which say that Zyklon-B was simply dumped onto the alleged gas chamber floor. It must be hell for them trying to keep all their lies straight. Poor Roberto Muehlenkamp and his True Believers, painted into a corner. We can only laugh again at Roberto Muehlenkamp for this. The embarrasssing story says that the alleged corpses were packed in like sardines, therefore the silly assertion that 'sonderkommandos' encircled the 'hill of bodies' is contradictory to the laughable judeo-supremacist story. My my, keeping those lies straight is a problem. It's hard to imagine anyone exposing the stupidity of the 'holocaust' tales any better than the buffoon, Roberto Muehlenkamp. Not to mention that Nyszili is probably one of the worst holocaust liars who ever came around. The Yankel Wiernik of Auschwitz. A powerful jet of water is going to have the water spraying back in their faces. Plus that's not going to clean the excrement. It's just going to break it up and push it deeper into the pile of bodies. And that's just for the viewable excrement on the outside of the pile. Had these people ever done a day of work in their lives? A day of cleaning? How could anyone make up such a bad story? The anti-science & so called 'holocaust' History Project has a section on Treblinka, a must read. There, nutjob Yankel Wiernik is held in high esteem. It's specifics like this that the 'holocaust' Industry wishes people wouldn't investigate. Scrutiny of the specifics are incredibly simple vehicles in which to expose the lies. How does the increasingly desperate 'holocaust' Industry respond? Simple. Arrest and imprison those that dare to speak up. Hannover wrote: Here is yet another landmine that Roberto Muehlenkamp and the anti-science True Believers walk onto. Filip Mueller / another lying "eyewitness"
Some of these testimonies I was aware of others i was not. Hosing the bodies down also forces the gas into the drainage system which is a safety concern. Then there is claim by a "survivor" that he hid and hung underneath a moving train while toilets above released crap all over him. Seriously, that is what he claims. And the gullible buy into this, uh, crap. An oldie, but a goodie perhaps worth another chuckle. Hannover wrote: - But there is no way to reach the walls and ceiling without removing the alleged 2000 bodies first, via a tiny elevator up to the crematorium. Storing 2,000 corpses in the tiny oven room? No way!! And since the Allied wartime aerial photographs of Birkenau show that the alleged gassed corpses were not stored outdoor and there was no storage area inside the crematory buildings (except the morgues/'gas chambers' themselves), the 'gas chambers' couldn't be emptied faster than the cremation rate. Emptying time = cremation time = around 6 days = days after cyanide had entered the walls and bound to iron ions in there.